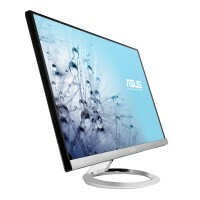 The ASUS MX279H is an attractive display with a very decent, frameless design. With a mere 18 millimeter thick display you get a 27 inch AH-IPS panel, FullHD resolution, a touch sensitive menu bar and the possibility to tilt the panel. Thanks to the AH-IPS panel image quality should be very good and furthermore we're curious whether FullHD is or isn't enough for a 27 inch display. 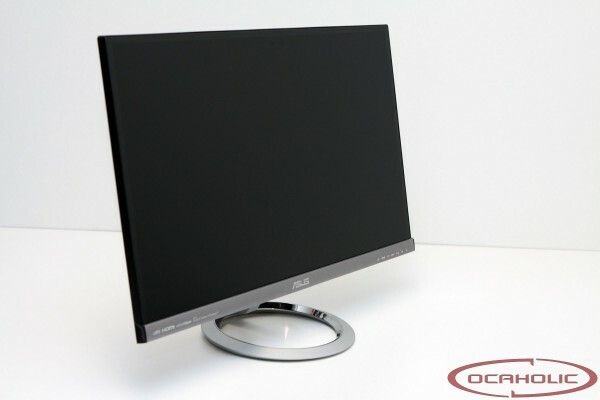 When comparing this display with a few more expensive models, like for instance the ASUS PB278Q or the Viewsonic VP2270-LED, then the MX279H has to stick with 1’920 x 1080 resolution instead of 2’560 x 1’440. If you should be sitting relatively close to the panel then the individual pixels become well visible.